Lawrence Davidson argues that behind the Israeli court ruling that Rachel Corrie, the US peace activist who was crushed to death by an Israeli army bulldozer while trying to prevent the demolition of a Palestinian home, lies a culture of pathological racism that considers all Palestinians and their allies as terrorists. 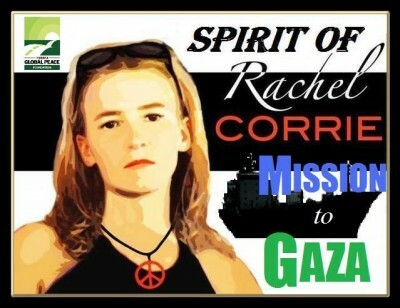 On 16 March 2003, the last day of her life, 23-year-old Rachel Corrie was in the Gaza town of Rafah standing in front of the Palestinian family home (not just a house) of Dr Samir Nasrallah. Dr Nasrallah was a local pharmacist and Corrie had been staying with his family while serving as part of an International Solidarity Movement (ISM) cadre seeking to disrupt the Israeli army’s on-going demolition of Palestinian homes. Between 2000 and 2004, the Israelis had destroyed enough homes in the Rafah area to leave some 1,700 people homeless. The Israeli army claimed they did this because these homes were used as “terrorist hiding places”. The result, they claimed, was frequent gunfire at Israeli settlements and soldiers. Yet for the time that Corrie stayed with the Nasrallahs, everyone in the home had slept on the floor and away from the windows to avoid a constant barrage of gunfire from Israeli snipers. On the day that Corrie died, she had interposed herself between the Nasrallah home and a very large “D9R” armoured Caterpillar bulldozer driven by an Israeli soldier. This was one of those infamous, made-in-the-USA machines sold to Israel by Caterpillar Inc. even though the company’s chief executive, Board of Directors and sales staff know that their product is used to destroy homes in ways that violate international law. At the time the bulldozer in question stood 20 to 30 metres from Corrie, who was wearing a high visibility fluorescent orange jacket and was speaking through a megaphone calling for the bulldozer driver to stop or turn away. The tractor moved toward her and the home slowly, in an operation the Israeli army later described as the “clearing of vegetation and rubble” so as to remove “explosive devices”. As it approached, the driver lowered the blade and began accumulating a mound of dirt and debris as the machine went along. When the bulldozer was close to the outer wall of the Nasrallah home, Corrie climbed on top of the accumulating debris. At that point she was so positioned that she could look directly into the driver’s cab, and the driver could look directly out at her, from no more that three or four metres. The machine kept coming. In the next few seconds, she lost her balance, fell backwards, and was run over twice by the bulldozer blade. The bulldozer driver later testified that he never saw Corrie until he noticed “people pulling the body our from under the earth”. There was, of course, an internal military investigation of the incident, an investigation that then Israeli Prime Minister Ariel Sharon promised then President George W. Bush would be “thorough, credible and transparent”. Senior US officials, including the US ambassador to Israel, Daniel Shapiro, later observed that the military investigation was none of these things. The military exonerated both the driver of the bulldozer and his commander, saying that neither had seen Corrie and also they weren’t even trying to destroy the Nasrallah home that day. In 2005, frustrated by the apparent whitewash of their daughter’s murder, Corrie’s parents filed a civil suit in an Israeli court against the country’s Ministry of Defence. They hoped that the trial would provide the “credible and transparent” accounting that had so far been denied. Subsequently, fifteen court sessions were held in the city of Haifa and just 23 witnesses testified. Yet the whole thing dragged on for seven years – until 28 August 2012 when the presiding judge, Oded Gershon, finally issued his ruling. The Judge’s mind-set is perhaps the most telling part of the judgment. In Gershon’s world, the Israeli army was not seeking to engage in a siege that was turning Gaza into the world’s largest outdoor prison while illegal Israeli settlements expanded. And, because that was not what was going on, any response by the people of Gaza could not be seen as legitimate acts of resistance or self-defence. No, the people of Gaza were at best supporters of terrorists or at worst terrorists themelves. That was the paradigm into which both the judge and all the Israeli army witnesses were locked. These witnesses spoke from behind a curtain, using aliases. This was done “for security reasons”. And, they all said basically the same thing: we did not see Rachel Corrie and even if we had we would not have seen a civilian. Why? Because Israel is at war with the Palestinians and, as one testifying Israeli army officer (aka Yossi) put it, “during a war there are no civilians”. There are only terrorists and their allies [i.e. Corrie] and Israel does not prosecute its soldiers for waging “war” against them. The resulting a priori immunity is not unique to Israel. Just days after the Corrie decision was announced, another decision, this time by the US Justice Department, was made public. The department ended its investigation into deaths occurring during CIA interrogations conducted using torture. No charges were brought against the torturers in these cases due to insufficient “admissible evidence”. That is, the evidence which the government itself would declassify so as to make it admissible was not sufficient to “sustain a conviction”. The American Civil Liberties Union called the decision “nothing short of a scandal… Continuing impunity threatens to undermine the universally recognized prohibition on torture and other abusive treatment.” How Israeli of the American Justice Department – or is the other way around? If you come across an individual who condemns an entire category of people and is also willing to violently act on the basis of that belief, you might call him or her a pathological racist, or a pathological xenophobe, or a pathological paranoid chauvinist. But what happens when those same sick sentiments get institutionalized in powerful bureaucracies? When, say, all Arabs (be they Muslim or Christian) are suspect and subject to government surveillance, segregation, collective punishment and worse. What then do you call this? National security? All too often that is exactly what we call it. The “we” here includes almost all politicians, media newscasters, security personnel, talking head “experts” and the like. What it comes down to is that, in the name of “national security”, we can justify almost anything, including killing kids in Gaza and torturing people to death in some dungeon, the whereabout of which is classified, as well as running over a 23-year-old peace activist with a massive bulldozer. That is certainly what the Corrie episode has shown to be the case in Israel. And it does not matter what is driving this obsessive stereotyping of the Palestinians as collective enemies by both individuals and entire government departments. The Israelis and their Zionist supporters can evoke the holocaust (and, for that matter, the Americans can talk about 9/11) until the end of time. The actions stemming from such ultimately racist perspectives are still thoroughly dehumanizing and criminal. Such is perpetual “war”.